Southern Mom Loves: Get Ready for Trolls Holiday with Printable Games Placemats and So Much Flippin' Glitter Popcorn! 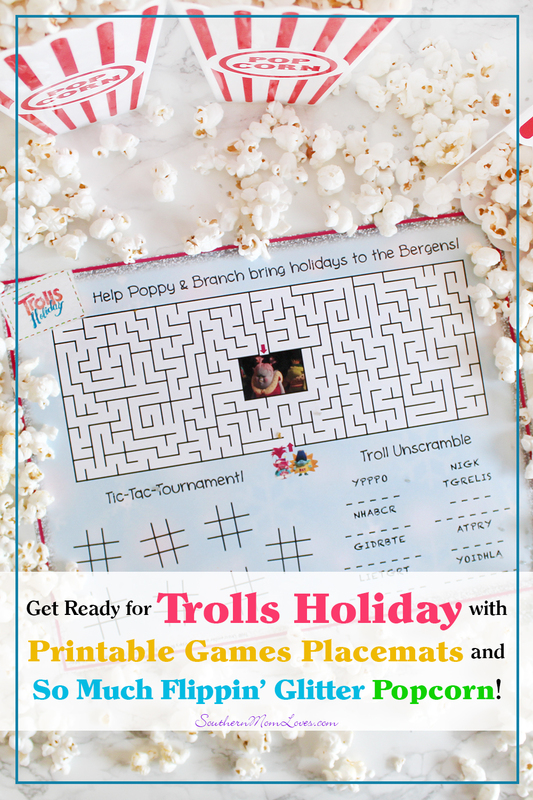 Get Ready for Trolls Holiday with Printable Games Placemats and So Much Flippin' Glitter Popcorn! Thanksgiving is over so that means it's officially HOLIDAY TIME! It's my favorite time of year and part of getting into the spirit is enjoying fun holiday movies. We have a ton of old favorites but I also look forward to the new ones, like the new Trolls Holiday movie! 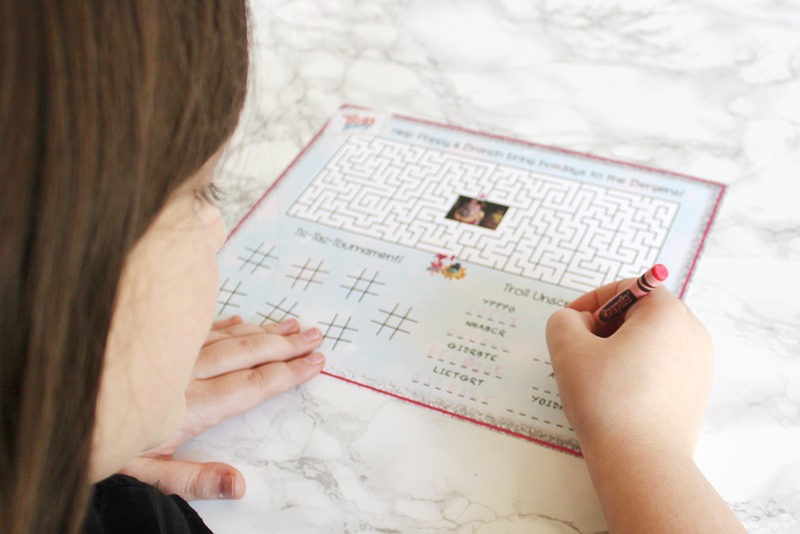 We loved Trolls, so when I told the fam about the new movie, they couldn't wait for the next Family Movie Night and I had fun designing a new printable games placemat to help them get into the spirit. 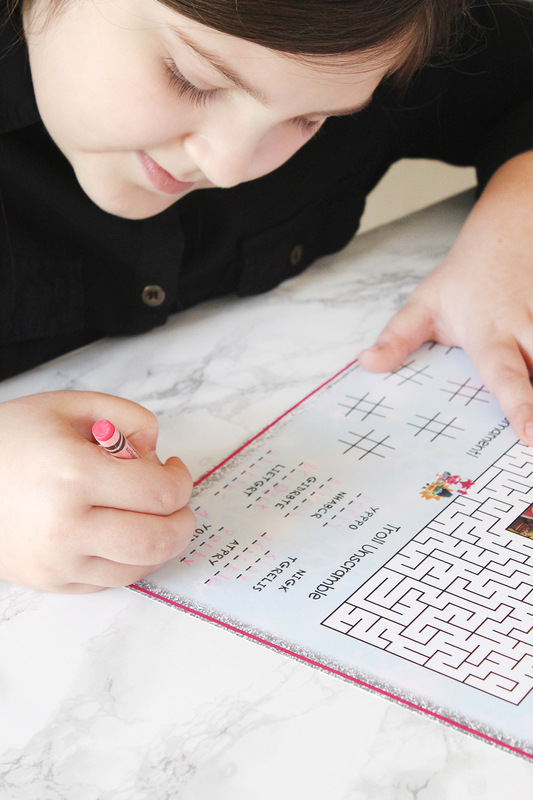 Paper games placemats are a great way to keep the kids occupied before dinner, but when they're themed for your movie night, they're even more fun. The Trolls Holiday movie is all about bringing holidays to the Bergens. Now that Trolls are no longer on the menu, the Bergens don't have any celebrations to look forward to. Check out the trailer below. The whole cast is back for the new movie and it has a brand new original song! It comes out on 11/28 and you can only get it at Walmart! Find it online or look for a display in the front of the store. 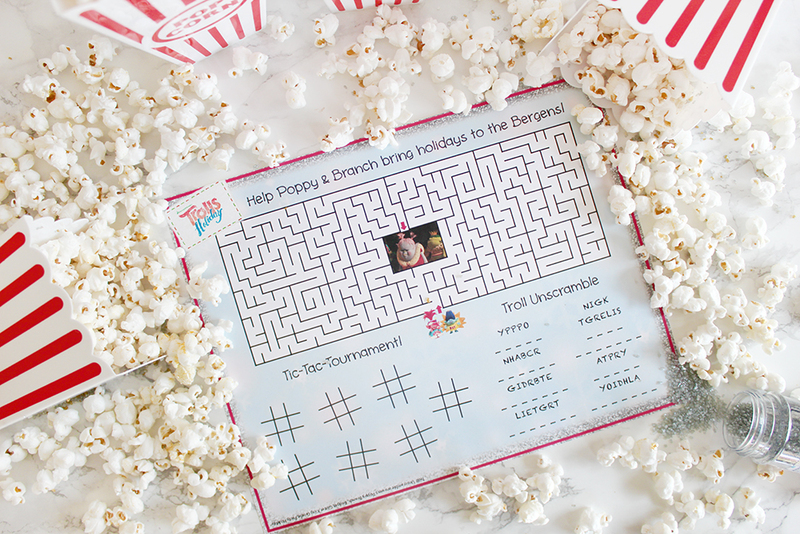 Then print out your placemats and get everyone excited for a movie night together! You can get the printable pdf here. SO MUCH FLIPPIN' GLITTER! I made a ton of popcorn and shook on some silver glitter sanding sugar for a kettle corn taste with some extra bling! 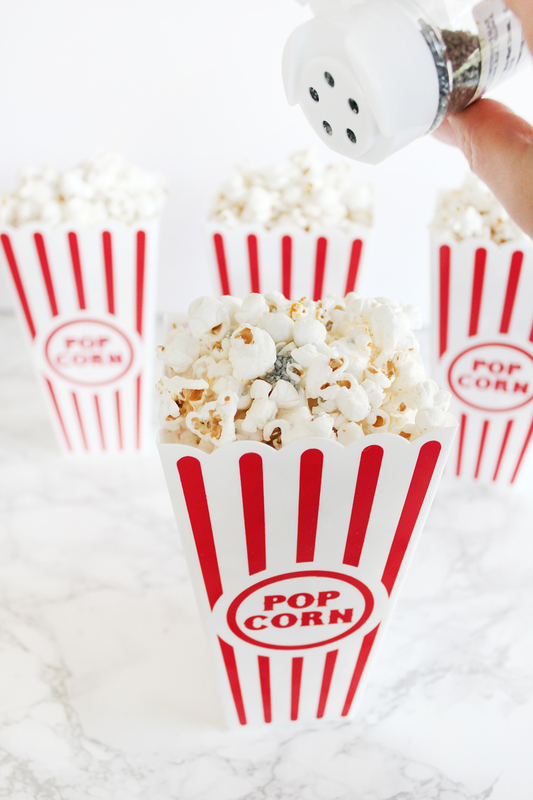 You can add it to a batch of stove-popped corn or a bag of natural or lightly salted microwave popcorn, shake well, and enjoy. Trolls Holiday is a fabulous family movie and I know you'll have a wonderful movie night. To help get you into the spirit, check out the clip below to see the first 4 minutes of the movie. It's so super-cute, you'll be dying to see the rest! 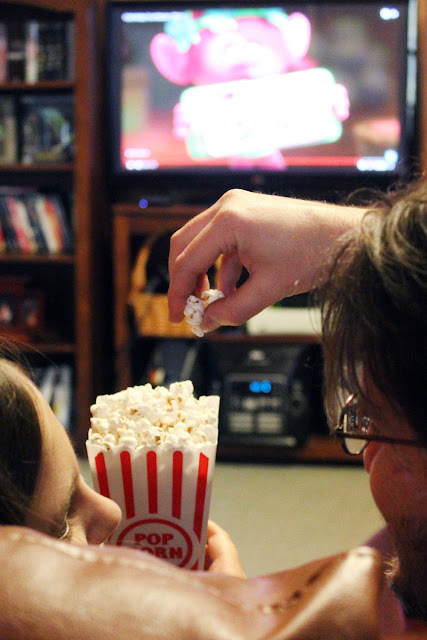 You can also pick up some other holiday favorites while you're there, like Grinch, Muppet Christmas, and Holiday Inn, and have a Family Movie Night every week until Christmas. Sounds like a plan to me! Did you love Trolls? Are you looking forward to Trolls Holiday? Let me know in the comments below!